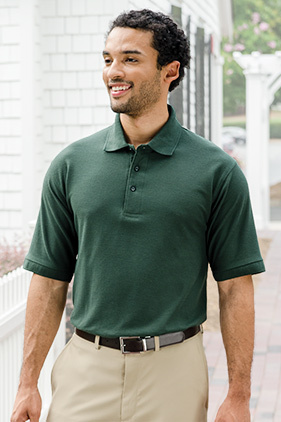 65% polyester/35% cotton 5 ounce baby pique ultra soft performance polo with wrinkle and fade resistant qualities. Excellent color fasting. No curl collar and welt cuffs. Three dyed-to-match buttons. Ladies style 351 is cut for her.